EpicDuel - Game Design Notes: Player Appreciation Week! Hey there, EpicDuelists! You might have noticed that there’s something... different about this week’s DNs. For those of you who don’t know me, my name is Cinderella, EpicDuel’s lovely Warrior Princess. I’ve been a part of EpicDuel since December 2008, when Nightwraith asked me to participate in a private Alpha test (as “Belka”, my name on the EpicDuel Forums), and I was one of the first players during the public Alpha. I’ve been a forum moderator (first on the EDF and now on the AEF) since early 2009, and I’ve been an in-game moderator since the merger with ArtixEntertainment. In addition, I am the administrator for the official EpicDuel Facebook page. As the game has grown since launching in 2009, Nightwraith and Titan have become very busy, and the need has been pointed out for additional staff to take care of some of the public relations responsibilities- that’s where I come in! I am the liaison between the Developers and Players. So, you’ll be seeing a lot more of my face in the weeks to come! But that’s far enough about me. This week, it’s all about you, Players! That’s right, an update chock-full of goodies for the people who make it all possible: YOU! First things first. A lot of our players are very excited about the Fame feature- maybe a little TOO excited. Begging for Fame has become a problem not only in-game but in the social media connected to the game. However, this was never our intention in introducing Fame- we’d anticipated that it would bring recognition to some of our best and friendliest players. In light of that, we’d like to turn the spotlight to one such player: Elf Priest Jzaanu, whose YouTube Channel features battle, weapon and armor demos, NPC strategy videos, and general videos that act as Public Service Announcements for the EpicDuel community. Jzaanu has always been friendly and helpful as long as I’ve known her in-game, and is one of our more diligent players. It would be good for some of our players who grief for fame to take a look at how classy our players can be. With the success of the recent update introducing NPC drops, we’re adding drops to completed missions! Following this update, completion of certain missions will result in a reward for completing said mission! Naomi Page needs rare flowers from Xraal over in the BioDome and Valery needs your help in supplementing her gun stash. 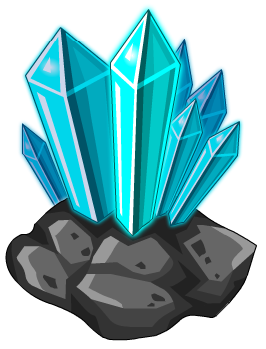 We have a LOT more missions in development as well, to give players a more important role in the evolving EpicDuel storyline (we might even release some of these super-secret missions on Friday- time permitting). Flower Power! 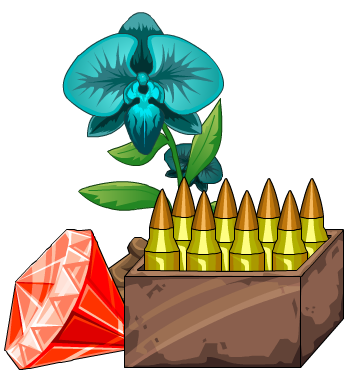 : Naomi needs your help in gathering precious Bio Orchids from Xraal in the BioDome. Restock! : Valery’s decided that the bike business just isn’t enough anymore, and is branching out into the weapons business. She needs you to get her some Imperial Blasters for a unique reward. We have a LOT more missions in development as well, to give players a more important role in the evolving EpicDuel storyline. This is truly an exciting time for EpicDuel, as we move forward from being simply a repetitive PvP game to a fully fleshed-out MMORPG. In the coming weeks and months we’ll be fleshing out the storyline more fully- Baby Steps! Yes, the long requested feature is finally here! The vendors all around Delta V have upgraded their outdated returns system and have agreed to give all players selling back premium items 15% of the item’s varium price across the board. That means that, if an item originally cost you 1,000 Varium, you will recieve 150 varium back from the sale of that item. For enhanced items, 15% of the Varium enhancement price will be factored into the sellback. For those who enhanced with credits before the update, those purchased slots WILL receive a Varium sellback. However, going forward, credit ehancements will not receive sellback. More convenient travel options have been implemented throughout Delta V! 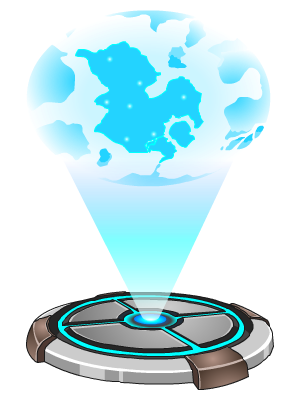 Look for increased Teleportation Pads that will take you to the furthest reaches of the planet! There’s so much more to come in the weeks ahead! And we can’t do it without you guys- thank you for being awesome.